When designing a handicap accessible bathroom, there are many special considerations to keep in mind. Handicap bathrooms have different requirements for space and fixtures. The Americans with Disabilities Act provides regulations for handicap bathroom specifications for public buildings, which can also be used as helpful guidelines for a private residence. 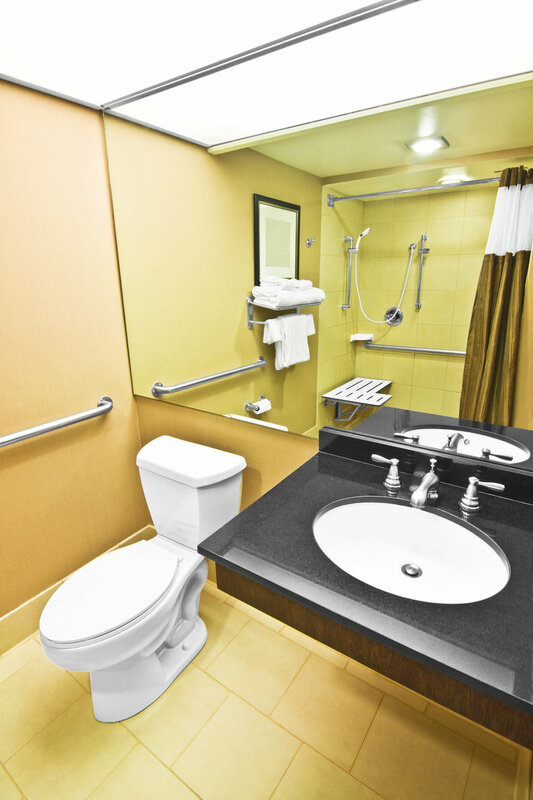 In this week’s blog, we’ll cover the things you need to keep in mind when designing a handicap bathroom. Handicap bathrooms need more space for those using them to be able to maneuver. A bathroom of at least 5 feet in diameter provides space for a turning radius. The space surrounding and in between fixtures is also important to consider. The sink and toilet need to have both a buffer of space in between them and in front of them to allow for easy access for the person using the bathroom and potentially a caregiver. The sink and toilet also both have to be a certain height off the ground in order to ensure accessibility. 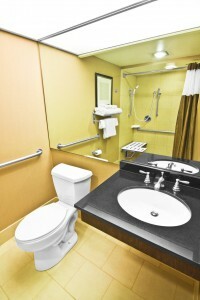 The entrance of the bathroom must be wide enough to accommodate a walker or wheelchair. The traditional bathtub won’t work in a handicap accessible situation. There are a few ways to approach this situation. One is with a walk-in bathtub. This is a bathtub that has a door allowing handicapped persons to pass through without having to move over a tub wall. Another option is for a walk-in or roll-in shower. This is a shower that is flush with the floor, so there is no impediment for access. Showers also need to have a shower seat and grab bars for safety. Slip-proof flooring reduces the likelihood of a fall. Grab bars positioned around the bathroom also reduce this possibility and make a safer environment. This entry was posted on Friday, May 2nd, 2014	at 4:46 pm	. You can follow any responses to this entry through the RSS 2.0	feed. Both comments and pings are currently closed.